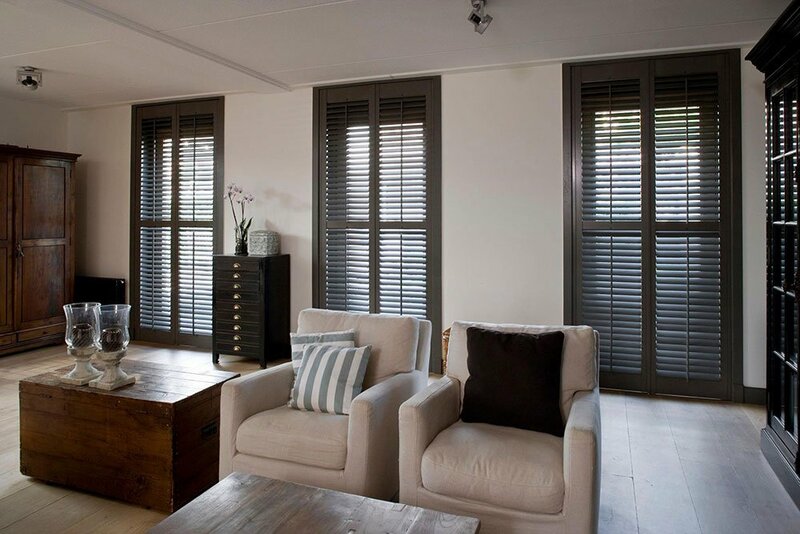 Imagine a stylish, versatile and efficient way of living with the addition of interior shutters in your home. We can help realise your ambitions with the widest range of styles, colours and premium materials available. 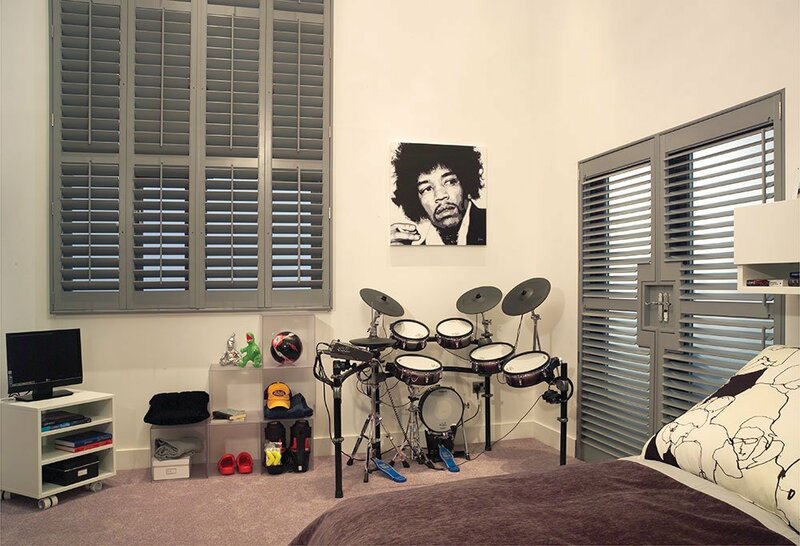 More than just a window covering, shutters add a personal touch to your home, also working well for wardrobes, patio doors and room dividers, helping you make the most of both space and light. 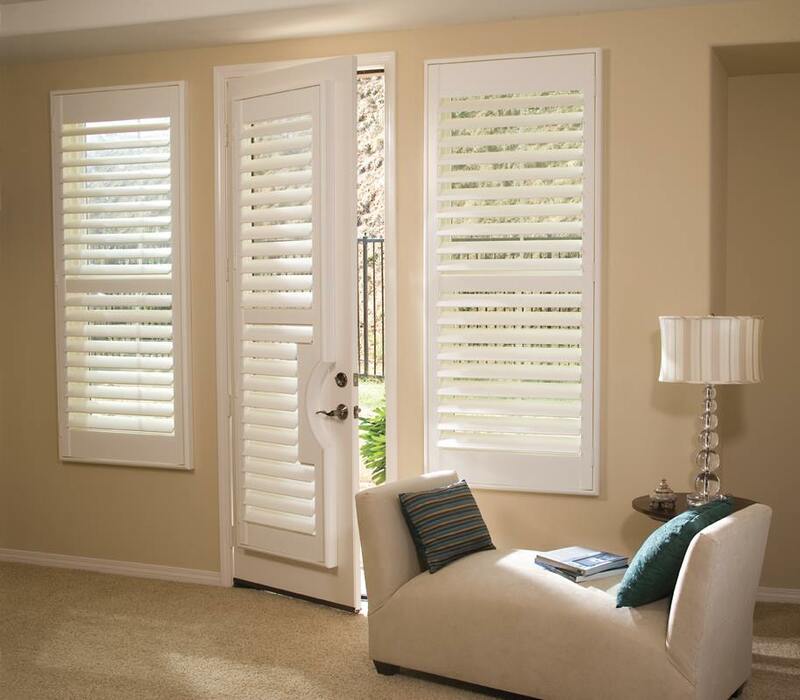 We supply and install Scraft shutters. You can opt for a visible tilt rod, providing a classic look, or you can choose to have a hidden tilt rod, giving your shutter a simple, sleeker look. Adding a mid-rail allows you to tilt separate sections of the shutter, controlling the light to get the levels to suit your needs. A mid-rail also means that you can keep the lower section closed, providing privacy, while the top section remains open, allowing natural light to filter in. They look and feel just like full height plantation shutters, but they have two separate panels – one on top of the other so that each function independently. Opening the top panels echoes the look of café style shutters, whilst resembling the appearance of full height when shut. You are able to make a bold, beautiful feature of your bay windows, but you’ll gain more space too. 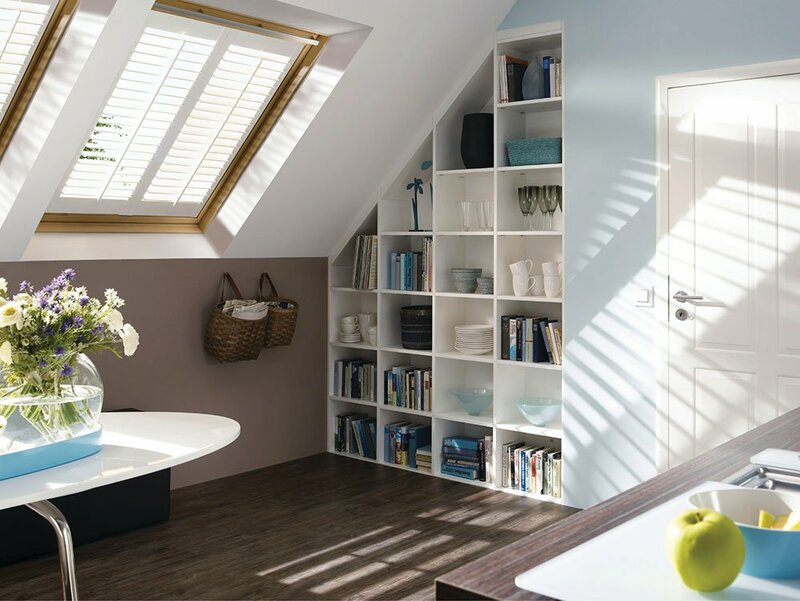 Instead of curtains – which take up space and gather dust, shutters are low maintenance and fixed directly to your window frames, freeing up space and turning each bay in your home into a treasured design statement. Plus, you get to control light levels and privacy to suit you. Picture a solution that leaves light flooding in through the top half of your window, while you make a design statement below. 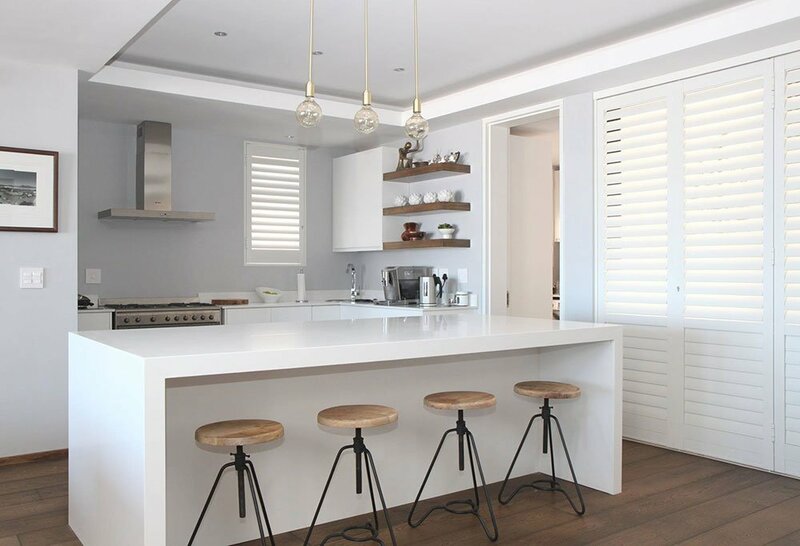 Not only are café style shutters a beautiful expression of taste and flair, they’re also a smart and practical way to block out unwanted attention from the pavement outside. You can choose to either have fold-out doors, or install a smart track system and slide your doors partly or fully open without compromising space. Your shutters can be made to measure to any wardrobe and colour-match any high street paint, so they’ll instantly look as though they’d always been there. Best of all, you can open the louvres to ventilate your clothes while keeping the doors closed. No matter what size or shape, your conservatory can enjoy an instant makeover with Shading Specialists shutters. 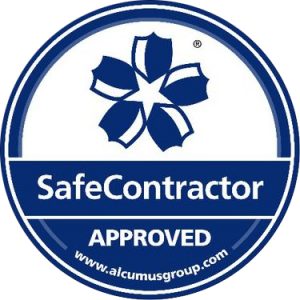 Traditionally cold in winter and hot in the summer, conservatory usage can be influenced by fluctuating temperatures. This is where our shutters really come into their own, as you can continue to enjoy the view while taking control of the light and warmth. 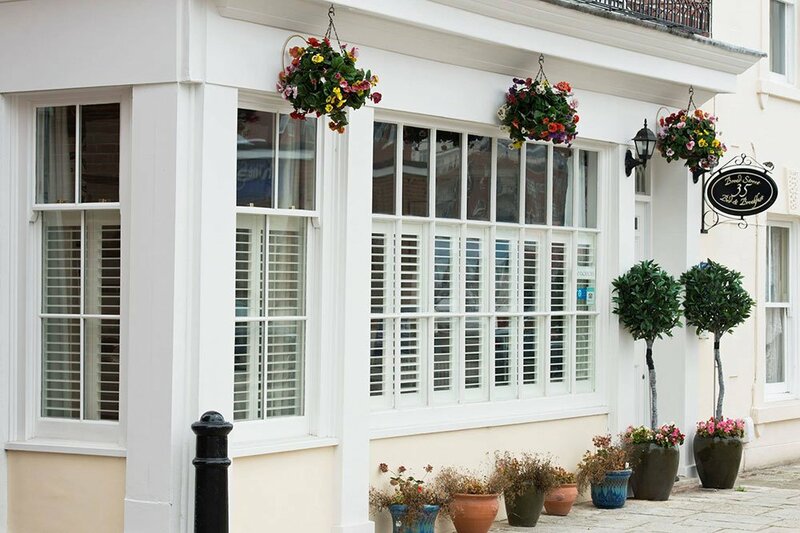 Take back control and enjoy your conservatory all year round with stunning shutters. Track shutters come in two styles, depending on your needs. Firstly, an ingenious by-pass system that allows each panel to effortlessly slide past the other on smooth-running tracks – great for wardrobes or room dividers. And secondly, a smart bi-fold system that simply folds out of the way against an adjoining wall. Re-imagine any space, no matter how unusual or awkward with a design statement that’s practical, precisely fitted and picture perfect. Increasingly, homes are imbued with all manner of window shapes and sizes – unique features can add character to any wall, roof or ceiling. Round, square, triangular, oval – whatever the shape, you can enjoy a premium, made-to-measure shutter system that fits both the space and your sense of style perfectly. Instead of tilting louvres, they are crafted from solid premium hardwood panels, so you can choose to have them fully open to let the light shine in, or close them and block it out completely. If you have a large period property, these are a classic choice as they tend to blend in perfectly with the flow of the room. During the day, you’re able to flood each room with warm light. And at night, you can block out any light from outside, simply by shutting them. There’s the additional benefit of improved insulation, perfect for homes with only single glazing due to the age of the property. From hard wearing entry level MDF to elegant hardwoods with a velvety feel, Shading Specialists made-to-measure shutters come in a wide range of materials to suit both your home and your budget. With an extensive paint colours and wood stains available, there is plenty of choice depending on which material you select. 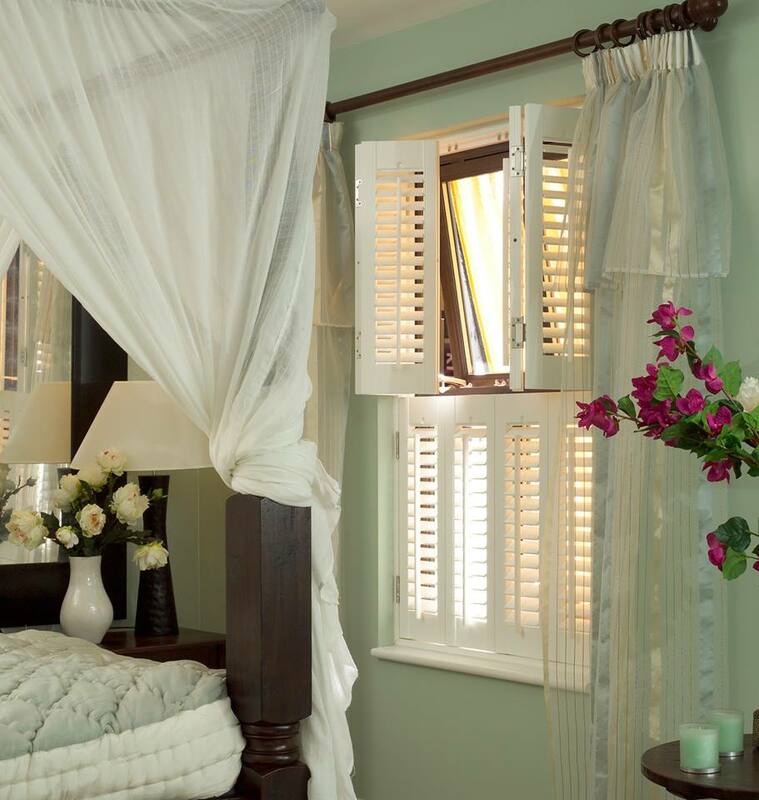 With made-to-measure shutters, you can achieve the look you want from the size of your louvres to the position of your tilt rod. 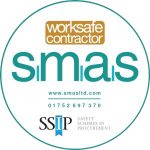 We will be able to advise which options are available to you.